There’s a certain nostalgia that comes along with breakfast cereals. We all had our favorites growing up. At some point (possibly during the no-carb/low-carb food craze), cereal became more of a guilty pleasure than a breakfast staple. But there’s actually no need to curtail your daily cereal habit (yes, you read that right, cereal lovers). 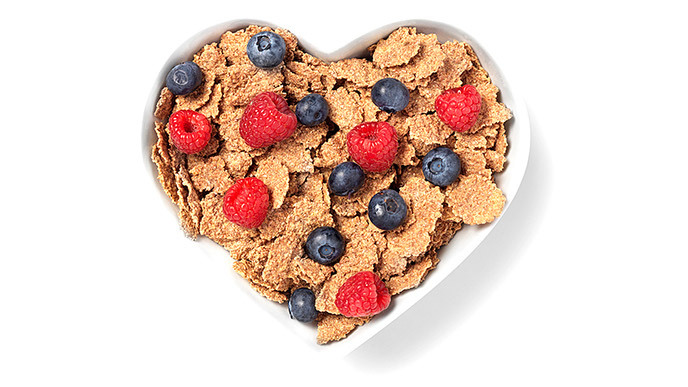 Kathy McManus, the director of the Department of Nutrition at Harvard-affiliated Brigham and Women’s Hospital in Boston, Mass., offers some guidelines for how to get the most health benefits out of cereal, such as avoiding ones with refined grains or added sugar and seeking out brands that offer five or more grams of fiber. Also, scratch any guilt you may be harboring against those cereal carbs, too. Eating a whole grain breakfast (especially if you add some protein and fiber in the forms of Greek yogurt and fruit to your cereal) is a wise choice, as breakfast can cut down your risk of developing diabetes, obesity and hypertension while helping maintain your weight loss goals.